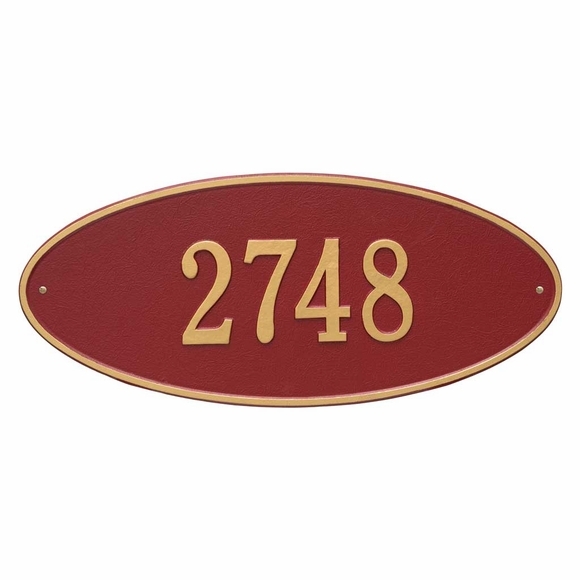 Madison Large Oval Home Address Plaque - - personalized with your street number in clear easy-to-read characters. Measures 24.5" x 10.375" and holds one line of text: up to five (5) 4.5" characters or up to seventeen (17) 2" characters. Alumi-Shield™ All Weather Coating protects against the harshest weather and environmental elements. Note: A smaller version of the Madison Oval plaque is also available -- see Related Products.